Did you know your painful migraine could be triggered by certain wavelengths of light? Keep the good light. Block the bad. Get eyewear from Axon Optics. Did you know your painful migraine could be caused by certain wavelengths of light? Keep the good light. Block the bad. Get eyewear from Axon Optics. When certain wavelengths of light were blocked, people with photophobia reported a decrease in light sensitivity and fewer related symptoms like nausea, dizziness, dry eye, migraine, and headaches by as much as 70%. People who wore precision tinted lenses on a regular basis for their light sensitivity, reported that they reduced the severity of their light sensitivity by half. 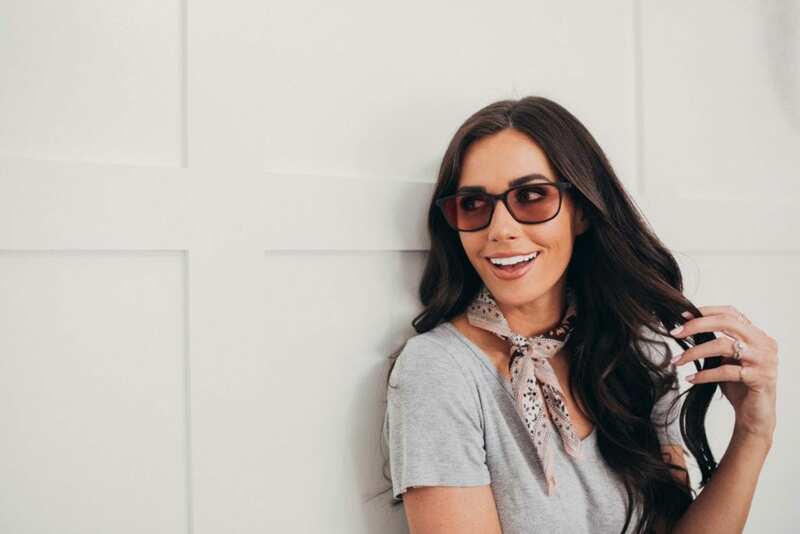 Axon Optics eyewear is available in our online store or through eyeglass specialists who carry our products and can fit them to your prescription. We gladly offer a 30-day, money-back guarantee for all non-prescription eyewear. Axon Optics lenses are a simple, non-invasive, non-chemical solution with none of the side effects inherent to medication. I highly recommend these glasses if light, computers, etc. bring on migraines. I will definitely buy another pair in case I misplace the ones I have. These have been a life saver, and it's great not to live in fear of a migraine attack. I was skeptical however I was sick of taking the migraine meds to knock the migraines. After 4 weeks I am completely sold on these glasses and wear them daily at work! Axon Optics was born out of the University of Utah and utilizes cutting edge research in neuro-ophthalmology and light sensitivity. It places Axon Optics at the forefront of using newly-discovered optics technology that may help people suffering with light sensitivity. Shop light sensitivity glasses online. You know your eyes are directly connected to your brain, right? Well, what you may not know is that there are actually two SEPARATE pathways. One transmits visual information, the other transmits pain—pain designed to tell you that the light entering your eyes is harmful and can cause damage. Most people only feel this pain when they are exposed to genuinely harmful light. However, a certain portion of the population has an oversensitive pain pathway—one that overreacts to certain wavelengths of light and deems them harmful, causing pain. The resulting light sensitivity (photophobia) can be responsible for a number of light-sensitive conditions— including nausea, dizziness, dry eye, migraines, and headaches. The good news is that even for the most light-sensitive individuals, there are only a few key wavelengths of light that cause discomfort. These wavelengths have been identified and can be countered with SpectraShield FL-41 lenses. These unique, high-tech lenses are only available from Axon Optics. Stylish, contemporary frames combine with light-blocking lenses for all-day protection. Attractive frames with additional side coverage that blocks light entering in from the sides. This option provides optimal coverage for most users. Need absolute full coverage? These frames have the option of removable gaskets that completely block all harmful light. These are particularly helpful when worn outdoors. Fitover RX Protection: for those who already have prescription frames, these frames fit over existing frames and can be worn at any time.